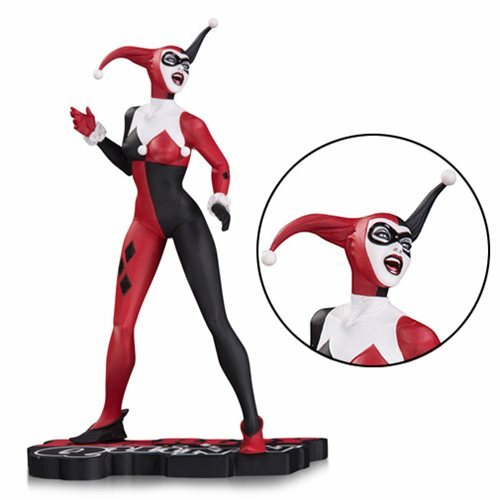 The Harley Quinn Red, White and Black by Jae Lee Statue features Harley Quinn in her classic Batman: The Animated Series jester costume. Veteran comics artist Jae Lee brings on his unique take of Harley to the Red, White, and Black Statue line from DC Collectibles. The Harley Quinn Red, White and Black by Jae Lee Statue measures 7-inches tall and is made of poly resin.